Though this recipe might remind you of a modified “bagel and lox,” the Havarti and dill point my taste buds to Scandinavia. 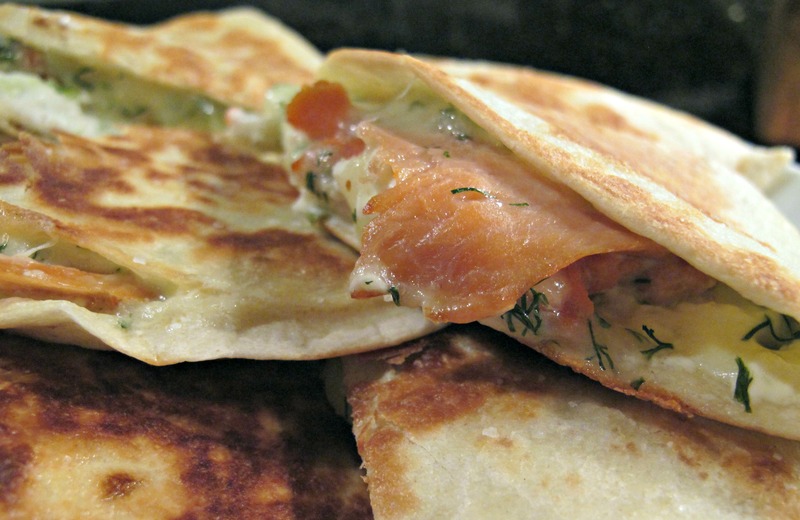 Either way, they are a creamy twist to a Mexican quesadilla. I came across this recipe in The New Cast Iron Skillet Cookbook by Ellen Brown. 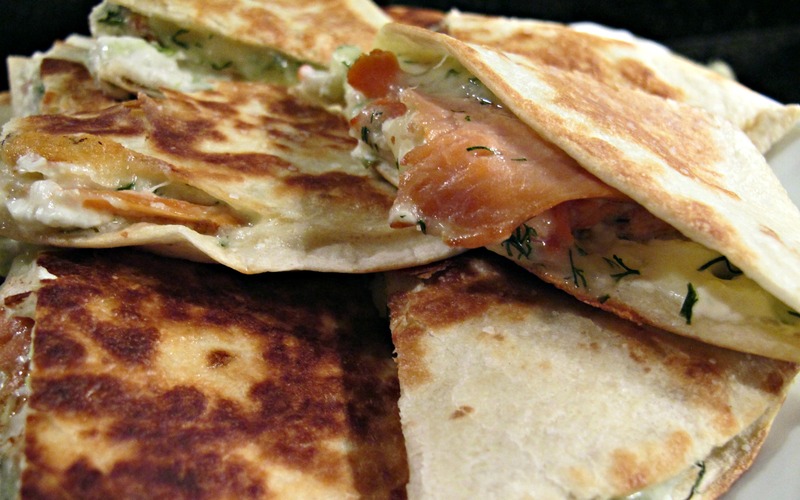 This is what she says about the recipe, “I promise, you won’t miss the bagel when nibbling on one of these delicious quesadillas, spread with scallion cream cheese, then topped with smoked salmon and creamy Havarti and fresh dill. Cut them into small pieces to serve as hors d’oeuvres, or add a marinated cucumber salad on the side for a light meal.” And they are also nice alongside a hot bowl of soup, especially one full of winter vegetables like butternut squash, parsnips, and other root vegetables. 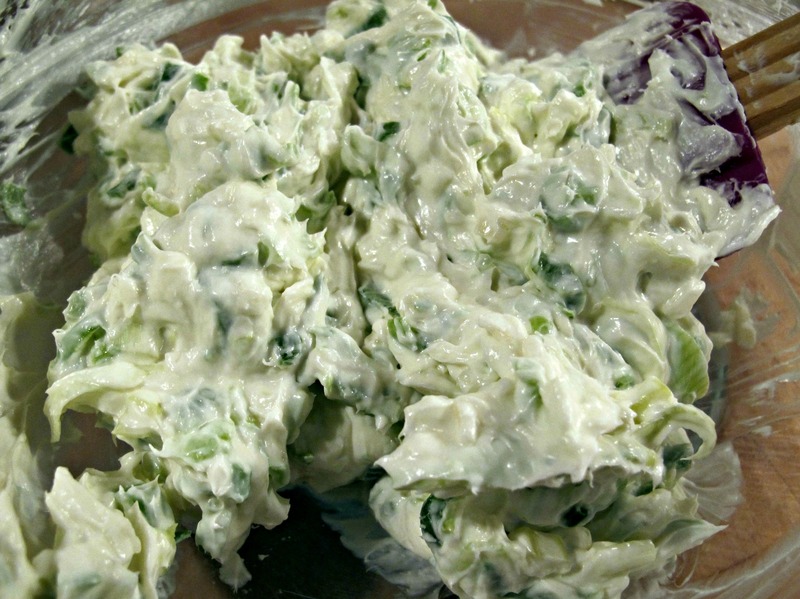 Mix the softened cream cheese and green onions well in a small bowl. Set aside. 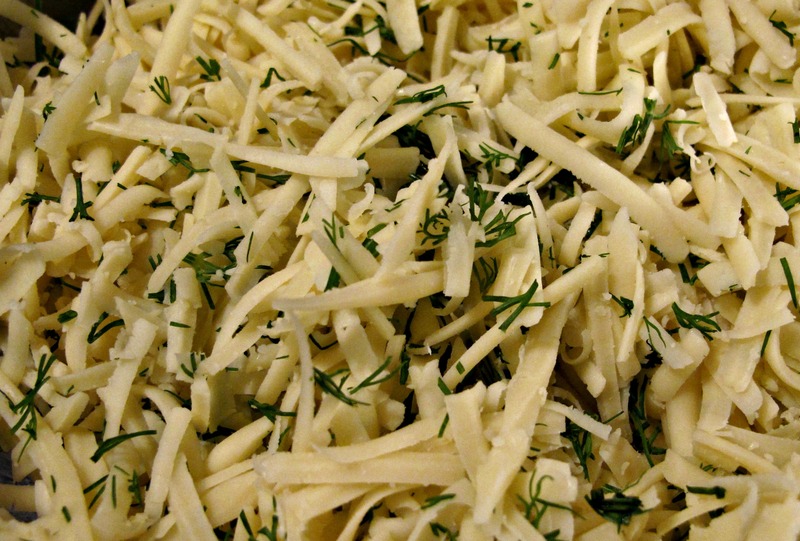 In a separate bowl, combine the Havarti cheese and chopped dill and mix well. Set aside. Heat a cast iron or non-stick skillet (preferably 12-inch) over medium heat. 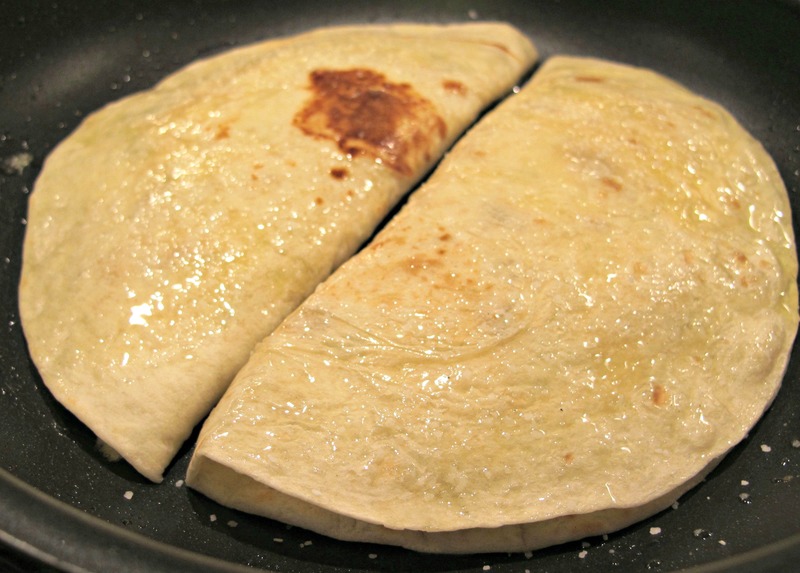 Place one flour tortilla in the skillet and heat for about 1 minute. Flip the tortilla to heat until it has softened and pliable. You can also use a comal*, if you have one. Repeat for each of the tortillas and keep them warm. Remove the skillet from the heat as you assemble the quesadillas. 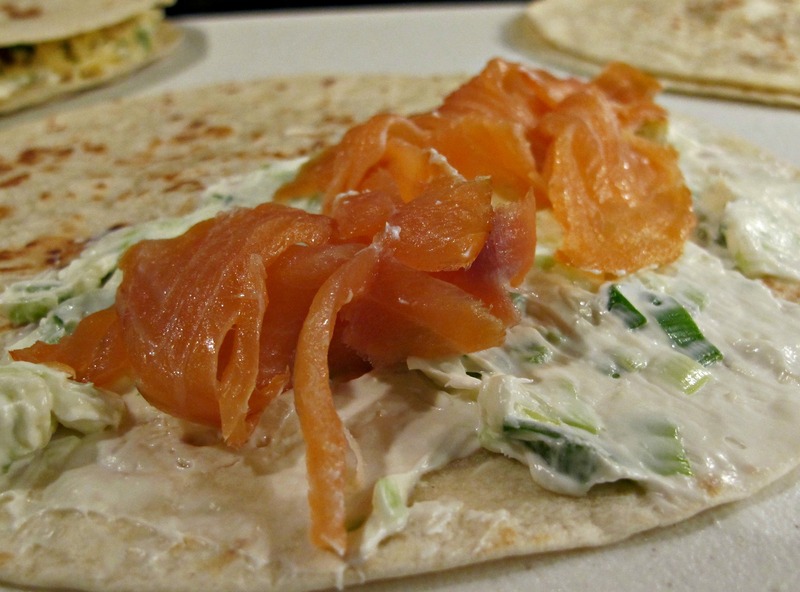 Take one tortilla and spread some of the cream cheese/green onion on half of the tortilla. 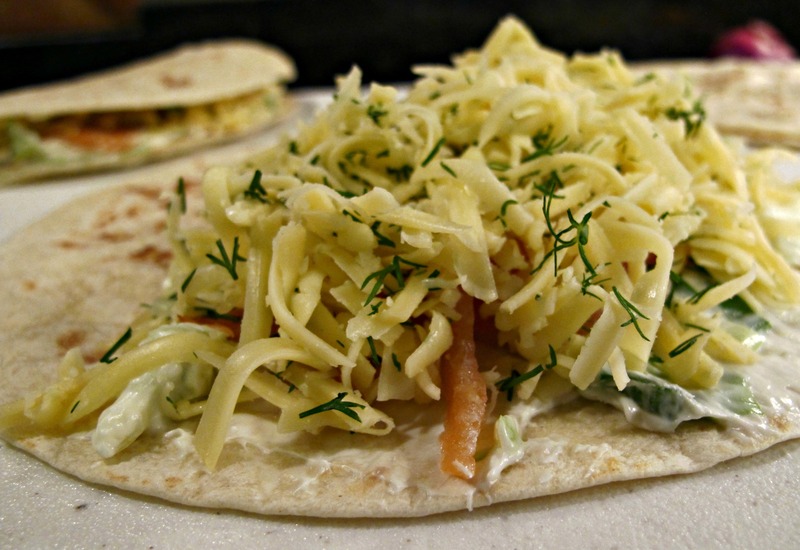 Add the smoked salmon and top with the Havarti/dill mixture. Fold the tortilla over the filling and press slightly. Brush the both sides of the quesadilla with olive oil and sprinkle with salt. Place the skillet back on the burner over medium-high heat. Add two of the quesadillas and toast them for 1-2 minutes or until they are lightly brown and crispy. Turn them over and toast the other side. Remove from the skillet and keep them warm. Cut each quesadilla in half or to whatever size you would prefer. These look delicious — I hope to try them out soon! Mmmmm, love dill and salmon, probably close to my favorite.